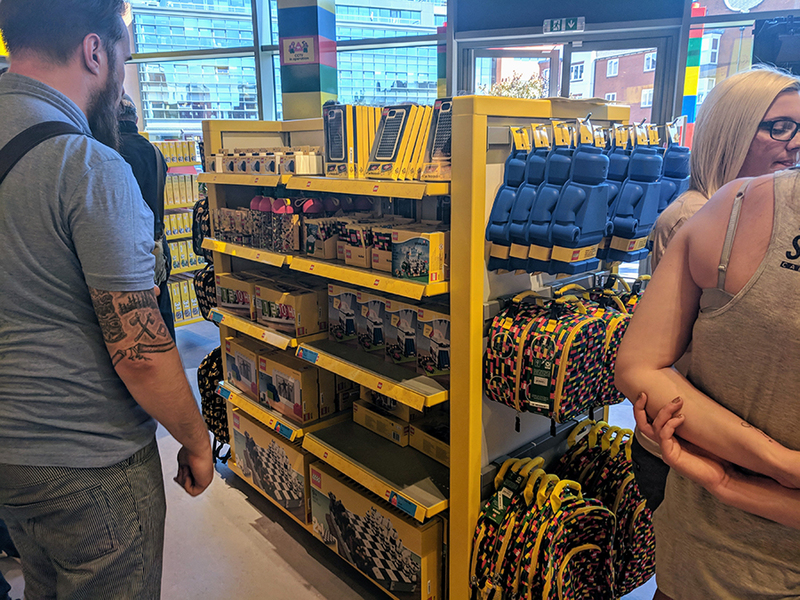 Yesterday BricksFanz were lucky enough to be given an exclusive tour of the new LEGOLAND® Discovery Centre Birmingham, which will soon open its doors to the public. 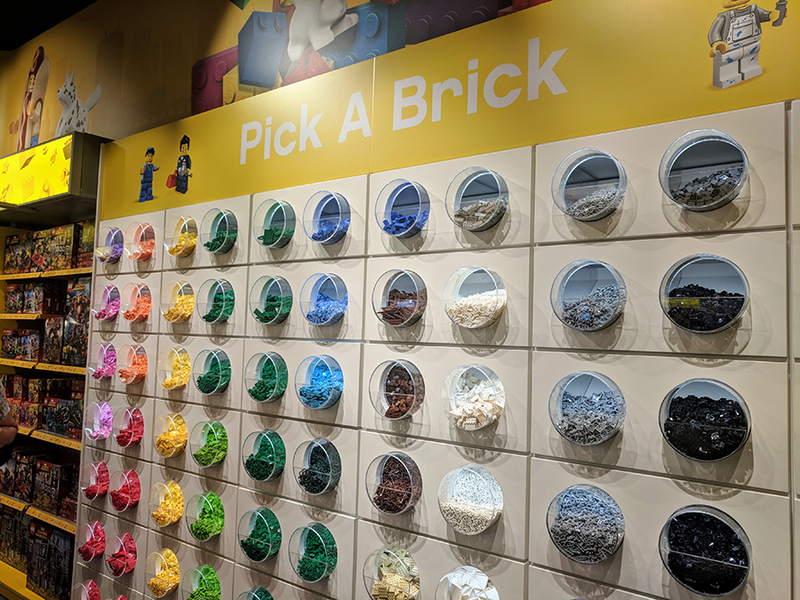 If you’ve never been to a LEGOLAND Discovery Centre, then it’s best described as the ultimate LEGO® indoor adventure playground. 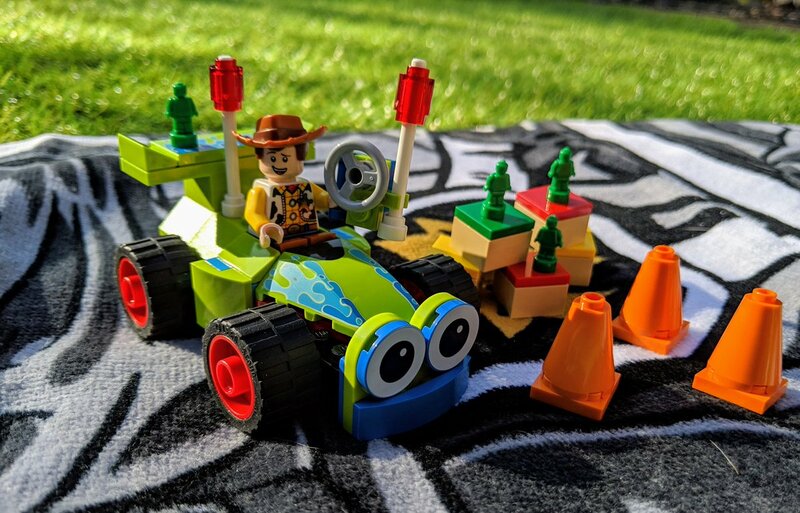 Complete with rides, experiences and plenty of opportunities to build with LEGO. 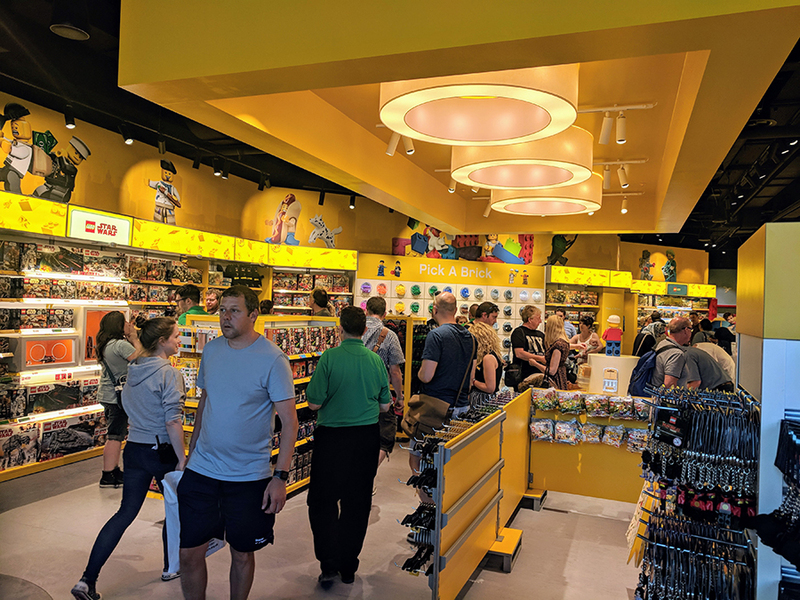 As well as taking a look around ahead of the opening, we were also there to take a look around the brand new LEGO shop. Which is now open daily 10am to 5pm on the run up to the grand opening on July 5th. I’ll be covering the rest of the centre shortly but for now here’s a look inside the new LEGO store. The Midlands has been crying out for some sort of LEGO store for many years, for those of us living in the area, we either have to trek to Milton Keynes or Sheffield, both of which aren’t majorly close by. So the arrival of the LEGOLAND Discovery Centre has certainly caused a lot of excitement. 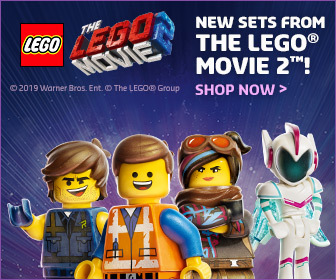 Although it may not be a LEGO Brand Retail Store, there’s still plenty of LEGO goodies on offer. The store may seem a little small, especially with a fair few people in it, but it’s actually surprisingly large and set out nicely. All the themes you’d expect to find in a LEGO store are there including many of the more recently released sets. There are plenty of sets on show in either the little in-shelf window displays or dedicated product showcase tables, which are lethal as they are an amazing way to show off sets, making you want them even more. 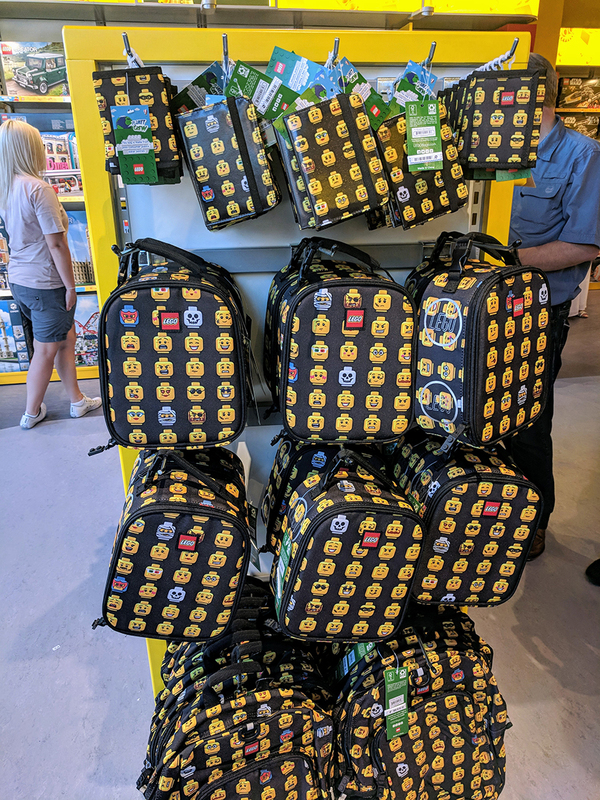 As well as finding plenty of LEGO sets there, you’ll also find plenty of other LEGO branded goodies including a cool range of LEGO Emoji bags and wallets, all made using recycled plastics. 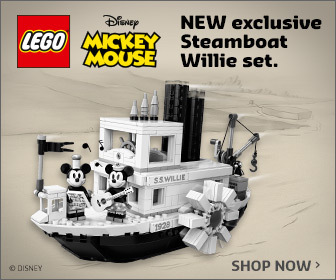 There are also a few LEGOLAND exclusive LEGO items which include a LEGOLAND Train, a LEGOLAND Castle and a LEGOLAND Pirates picture frame, as well as magnets, badges and cuddly toys. All of which are only on sale in LEGOLAND LEGO stores. There is also a Pick A Brick wall which features 84 bays of windows and a nice selections of elements and colours. These are mainly bricks as opposed to elements. As well as the PaB wall, you can also build a LEGO Minifigure. This includes a wide array of minifigure elements to create your perfect LEGO chums, with a pack allowing you to create three. 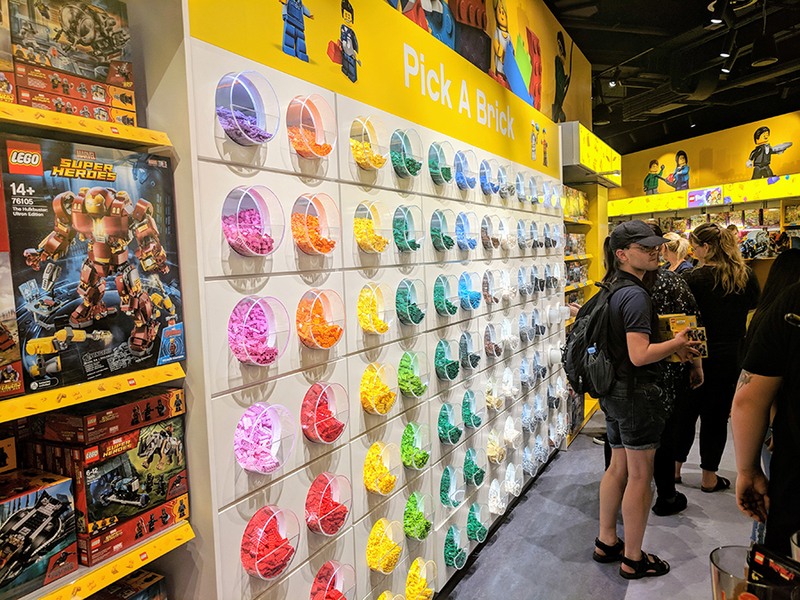 You’ll also find a number of LEGO polybag sets within the till queue areas, these are often hard to find and some of the ones on sale in the store included Black Panther, Star Wars, Solo, A Star Wars Story, LEGO Friends, LEGO City and NINJAGO. It’s a great little store which is filled with plenty of great sets and although it might not be a LBR store, it’s certainly the next best thing. 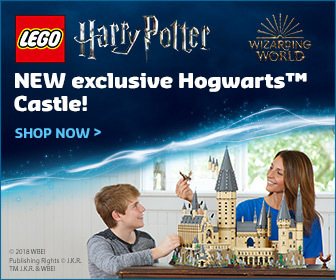 Plus if you really want to add those LEGOLAND exclusives to your collection, you haven’t got to spend hours getting to Manchester or Windsor. 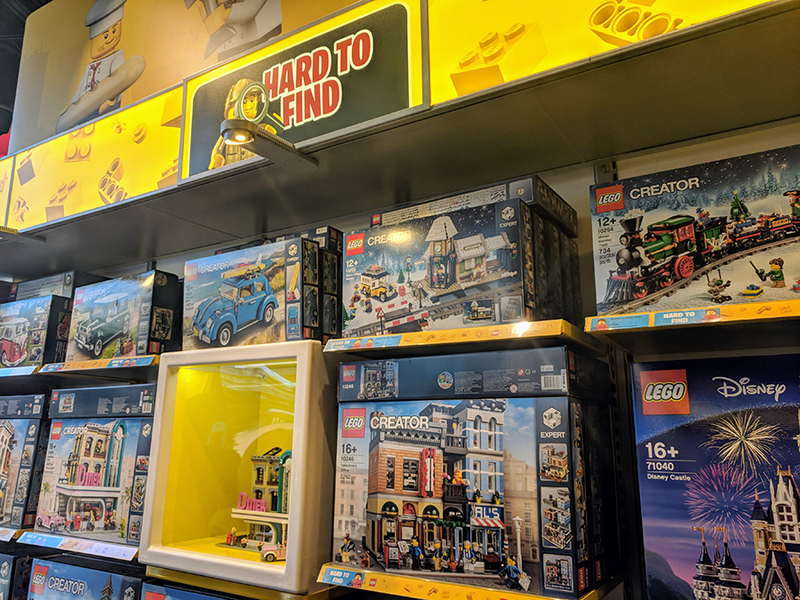 It would of been nice to have a couple of LEGO Big Builds dotted around the store, but as the centre is still to fully open, these could be added at a later date. 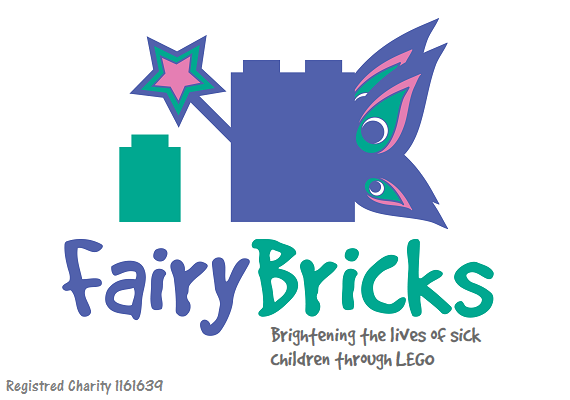 If you head to the LEGOLAND Discovery Centre Birmingham store this opening weekend you’ll also enjoy 10% off purchases of £35 or more. 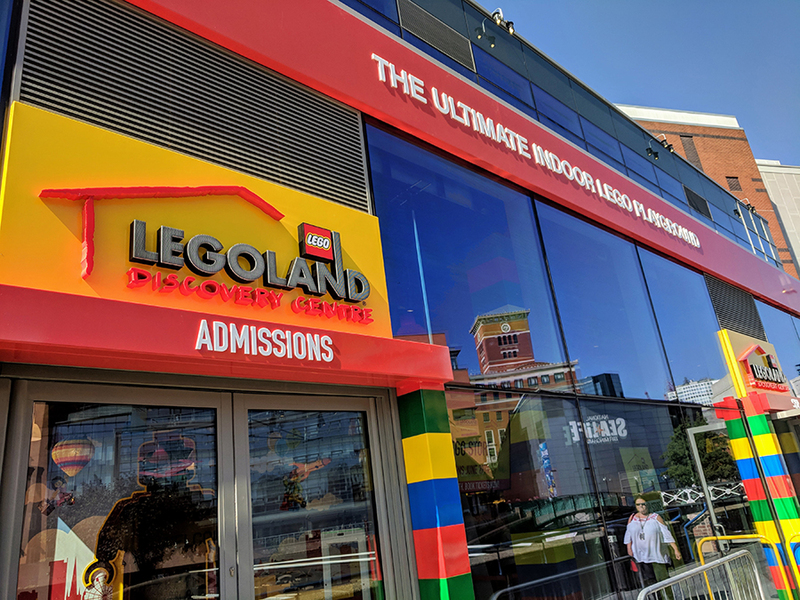 I’ll be working closely with the LEGOLAND Discovery Centre Birmingham on future projects so stay tuned for more details on that and thanks to the staff at the centre for making BricksFanz feel welcome during our visit. Where is it located? Inside the Birmingham Arena, just on the canal front. 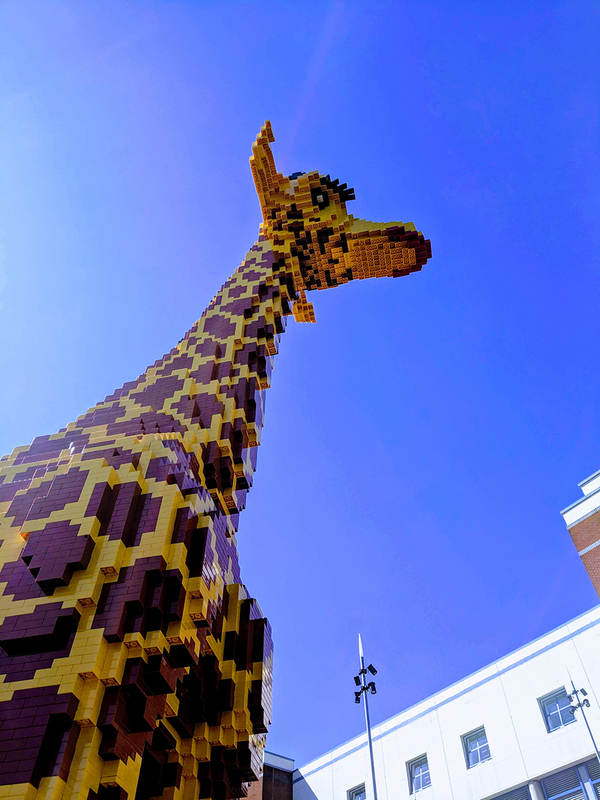 Look for the huge LEGO giraffe. Do I need a ticket to visit the shop? No, entry to the shop is complete disconnected to visiting the centre. What are the opening times? Open from 10am – 5pm on weekdays and 10am – 7pm at weekends. 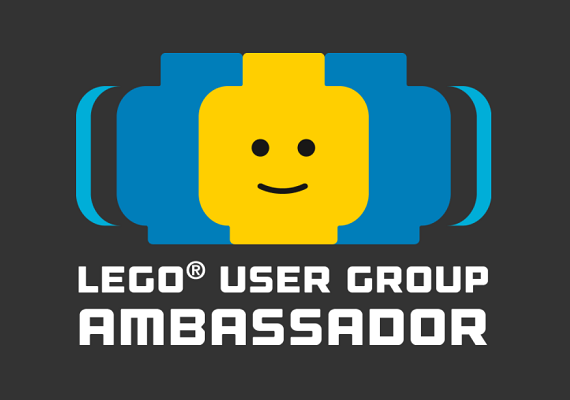 Can I use my LEGO VIP card? 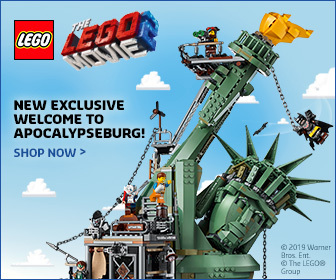 Unfortunately not as the store is a LEGO Brand Retail Store. However you will receive 5% off your total order if you show your VIP card. Is there a Pick A Brick Wall? Yep there is 84 window Pick A Brick selection. 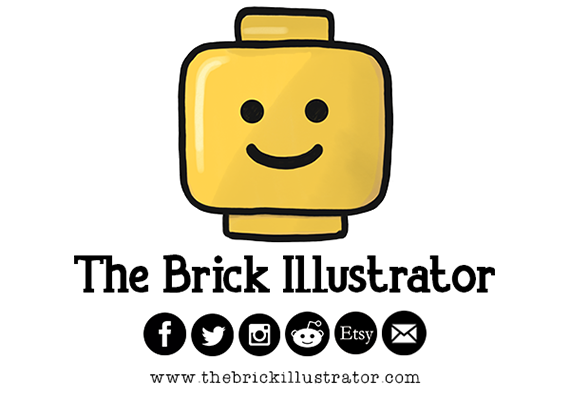 Can I build my own LEGO Minifigures? 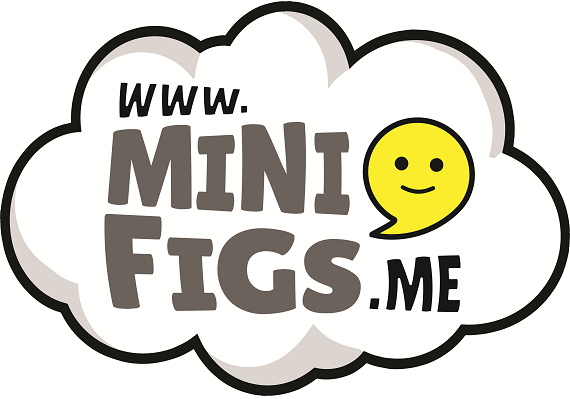 Yes there is also a Build A Minifigure station. Are there any exclusive items? Yes there are a number of LEGOLAND themed goodies including a couple special sets – the LEGOLAND Train, LEGOLAND Castle and LEGOLAND Pirate picture frame. Plus a number of LEGO Polybag sets.